October 3, 2018 is the deadline to submit your application to take the November 14, 2018 Certified Petroleum Data Analyst Exam. 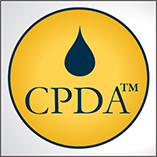 The Certified Petroleum Data Analyst (CPDA) designation is a globally recognized achievement, unique to the petroleum data management industry. Certification demonstrates to employers, clients, and colleagues that a CPDA professional possesses data management knowledge, experience, and skills to navigate the unique challenges of data management specific to the exploration & production industry. Join the growing number of CPDAs around the world as they demonstrate their skills and expertise in petroleum data management. The application deadline to take the November 14 Exam is October 3, 2018. Computer-based testing (CBT) is the standard method of administration of the CPDA Examination – therefore you will complete your exam online, in a virtually proctored environment. TO LEARN MORE OR SUBMIT YOUR APPLICATION PLEASE VISIT OUR 'HOW TO APPLY' PAGE.